Magnolias are beautiful trees with showy flowers and elegant large leaves. Some are evergreen while others lose leaves in winter. There are even pint-sized magnolias that work well in a smaller garden. 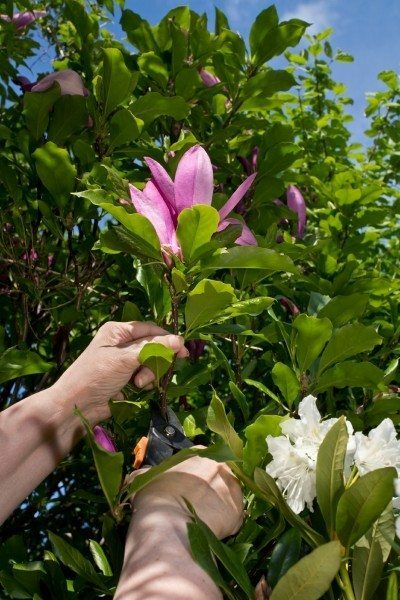 If you are interested in propagating magnolia trees, you have various options. 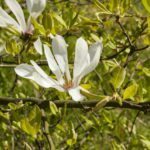 Seeding is always possible, but starting a magnolia tree from cuttings or magnolia air layering are considered better options. Read on for more information on magnolia propagation methods. Starting a magnolia tree from cuttings produces trees much faster than seedlings. Two years after you root a magnolia cutting, you may get flowers, while with a seedling, you can wait over a decade. But starting a magnolia tree from cuttings is not a sure bet. A large percentage of the cuttings fail. Put luck on your side by following the tips below. The first step in propagating magnolia trees from cuttings is to take cuttings in the summer after the buds set. 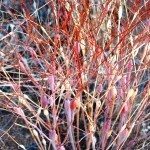 Using a knife or pruner sterilized in denatured alcohol, cut 6- to 8-inch growing tips of branches as cuttings. Place the cuttings in water as you take them. When you get all you need, remove all but the upper leaves of each cutting, then make a 2-inch vertical slice in the stem end. Dip each stem end in a good hormone solution, and plant in small planters filled with moist perlite. Position the planters in indirect light, and tent each one with a plastic bag to keep in humidity. Mist them often, and watch for root growth in a few months. Air layering is another method of propagating magnolia trees. It involves wounding a living branch, then surrounding the wound with moist growing medium until roots form. To accomplish magnolia air layering, try it in early spring on one-year-old branches or in late summer on that season’s growth. Make parallel cuts circling the branch about 1½ inches apart, then join the two lines with another cut and remove the bark. 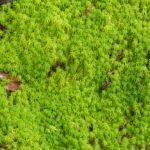 Place damp sphagnum moss around the wound and tie it in place by wrapping with twine. Secure a sheet of polyethylene film around the moss and secure both ends with electrician tape. Once the air layering is put in place, you need to keep the medium damp all the time, so check frequently. When you see roots protruding from the moss on all sides, you can separate the cutting from the parent plant and transplant it.